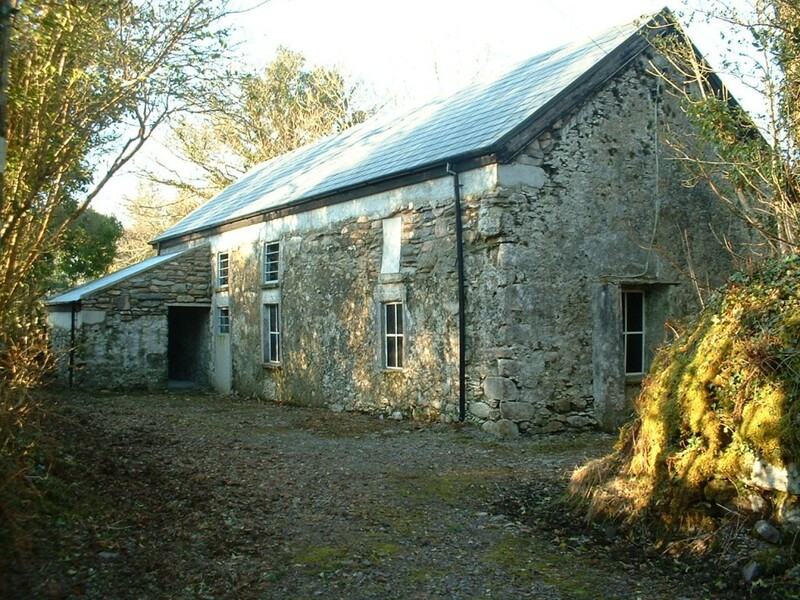 Derreen Bridge Cottage is a large two-storey former dwelling located 10km north east of Waterville, County Kerry. A colony of lesser horseshoe bats (Rhinolophus hipposideros) uses the loft space as a summer roost and a significant number of the bats hibernate in various locations within the building. This roost was brought to the attention of the Trust in 2004 by the local NPWS Conservation Ranger. We acquired the roost building and outbuildings in 2006. Due to the unsafe nature of the first floor, the many exits used by the bats and the extensive vegetation growth around the building, it was not possible to make an accurate assessment of the number of bats using it, but it was estimated at least 100. The building was completely renovated and the first emergence count post renovation took place in June 2007 when 104 bats were counted. Some of the colony hibernates in the ground floor rooms. As with the other Kerry sites, we have professional help to carry out routine security checks and maintenance at this site and since 2010 we have a local fully trained volunteer who is responsible for conducting the two summer emergence counts as part of the National Lesser Horseshoe Bat Monitoring Programme organised by NPWS. Due to the normally mild winters experienced in south Kerry, some of the colony remains within the cottage over winter. Counts of hibernating bats at the site began in 2008 and the latest count in 2015 recorded 150 bats on the ground floor, 93 using a chimney and 57 hanging from the joists of the ceiling in the room to the left-hand side.